What is the difference between Honors and LEAD Scholars? University Honors is a four-year program that is academically focused, with leadership opportunities available but not required of students. LEAD scholars is a two-year program focused on leadership that requires students to become involved in both the local community and the UCF community. Many Honors students also successfully complete the LEAD Scholars program. Is submitting The Burnett Honors College application binding? No, submitting the Honors Application does not serve as a binding agreement to become a member of The Burnett Honors College, nor even to come to UCF. However, submission of the Reply Form, which is mailed to all accepted students beginning in February, recognizes the student's commitment to Honors. Is there a minimum GPA or test score requirement for The Burnett Honors College? No. The school profile, class rank, strength of curriculum and other academic accomplishments will all be considered. 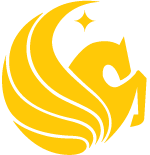 Typically, The Burnett Honors College offers admission to the top 10% of the incoming freshman class at UCF, and the applicant should show academic strengths that place him or her in that position. Can I major in Engineering and still do Honors? What majors are included in The Burnett Honors College? The Burnett Honors College offers a large variety of classes, from the General Education Program (GEP) to specialized upper-division and interdisciplinary seminars. The University Honors requirements and class offerings are consistent with the UCF requirements for any major . Therefore, students of all majors can benefit from participating in the University Honors program. How many students are admitted to The Burnett Honors College? How many students are in Honors overall? About 500 new freshmen are admitted to The Burnett Honors College each year, and at any given time there are about 1500 active students. Will my AP (IB, dual-enrollment, etc) college credits transfer for The Burnett Honors College? The Burnett Honors College accepts all types of credit granted by UCF. However, you will still need to fulfill the Honors coursework requirements. Are the Honors classes harder? Will there be more work to do for Honors classes? Will my Honors classes ruin my college GPA? Honors classes are not designed to be harder and they typically do not cover more material than their non-Honors equivalents. In fact, at the end of every fall and spring semester each Honors student is audited to make certain an Honors level GPA (3.2 UCF GPA and 3.0 Honors GPA) is maintained, and we find that, actually, students tend to perform better in Honors classes than in non-Honors classes. Remember that likeminded, bright, curious, and talented students populate Honors classes, which are taught by some of the best UCF faculty. The result is an engaging and exciting classroom environment that will help you continue to excel! How many Honors credits do I need to take? You can find the Honors classes offered during spring and fall terms here. No, unlike high school, college courses (including Honors courses) are not weighted. Is tuition going to be higher in The Burnett Honors College? No, both Honors and non-Honors classes have the same tuition rate. Is there any application fee for The Burnett Honors College? No, there is not an application fee for the Burnett Honors College. However, upon acceptance, there is a one time dues payment for The Burnett Honors College student organization, the Honors Congress. Can I still do… marching band/athletics/ROTC/Greek life…etc if I am in Honors? Yes, successful Honors students can participate in all types of co-curricular activities both on and off campus. Many Honors students have received awards or been recognized for their co-curricular involvements. First year Honors students have the option of selecting The Honors Living Learning Community, which is located at Tower III in Golden Knights Plaza. Honors housing offers the opportunity to live with other Honors students and to have easy access to Honors enrichment programs held in our Tower. There are no additional fees for Honors housing beyond the regular Housing rates. Students must have a valid Housing contract to be eligible for Honors housing. Do I need to wait to apply for housing until I know if I have been accepted to The Burnett Honors College? The number of available on-campus beds is limited and residence halls tend to fill quickly. Because an Honors housing assignment is based on the date of the UCF Housing contract and not the date that Honors housing preference is submitted to Honors, if you are strongly considering attending UCF and strongly prefer to live on campus, then you should apply for housing early. Do not wait until you find out your Honors admission decision! Can I apply for Honors after my first semester at UCF? UCF first time in college students may also be eligible to apply during their first Spring semester at UCF. Otherwise, you may consider the Honors in the Major program. I have been accepted to The Burnett Honors College, and would like to reserve my seat. What’s next? 1. Submit your UCF Enrollment Deposit: Information about committing to UCF and submitting the UCF Enrollment Deposit can be found online here. 2. Sign up for Orientation: for first-year students, the next step is to register for the Honors Orientation. Only students who have been admitted to The Burnett Honors College are eligible for this special Orientation! Registration information for Orientation can be found online here. 3. Return the Honors Student Reply Form. Honors Student Reply forms will be mailed to students starting February 15th, or will be included with the admission letter for students admitted after February 15th. Forms should be submitted no later than May 1; however, seats are reserved on a first-come, first-served basis, which means that it is possible for the class to fill before the May 1 deadline. Once all three steps are complete, you will receive a letter that confirms that your seat is reserved.